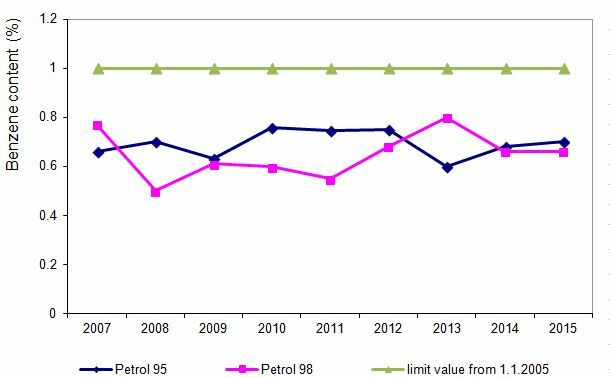 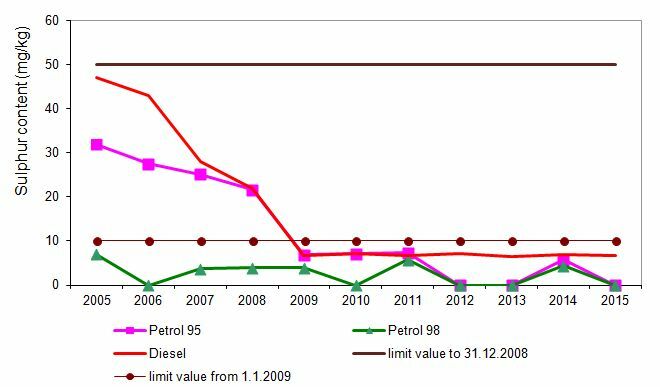 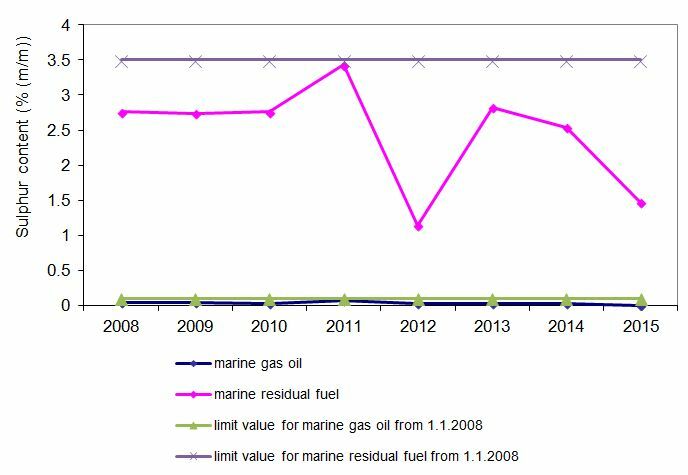 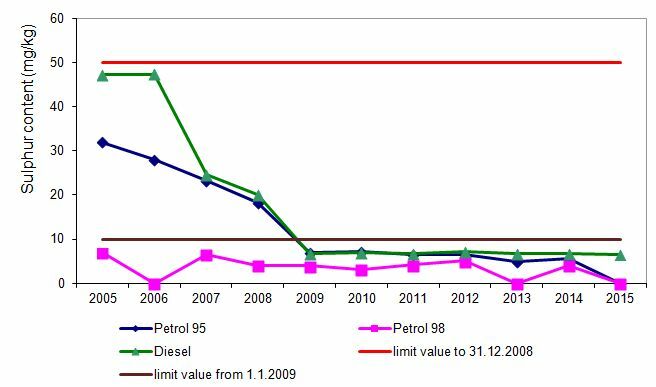 The decrease in SO2 emissions from transport is significantly affected by the tightening of legislation concerning the concentration of sulfur in liquid fuels (10 mg / kg since 2009) for both petrol and diesel. 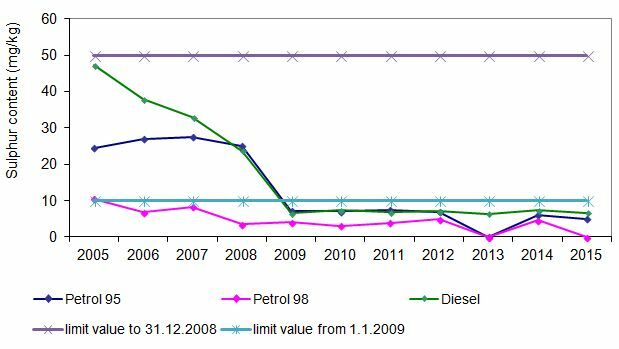 Limited value of concentration of sulfur in fuels used in road transport in 2015 was not exceeded neidher in Sloveia nor in EU-28, the same applies to air and maritime transport. 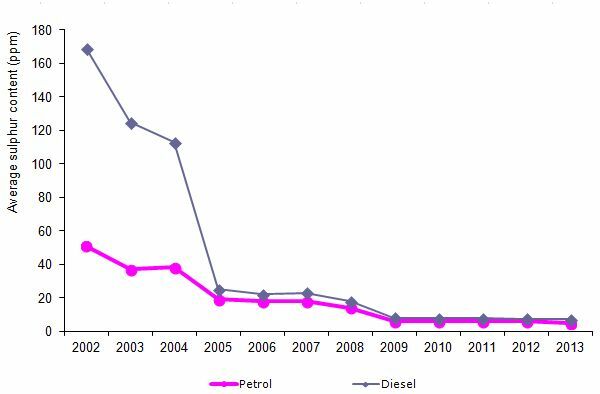 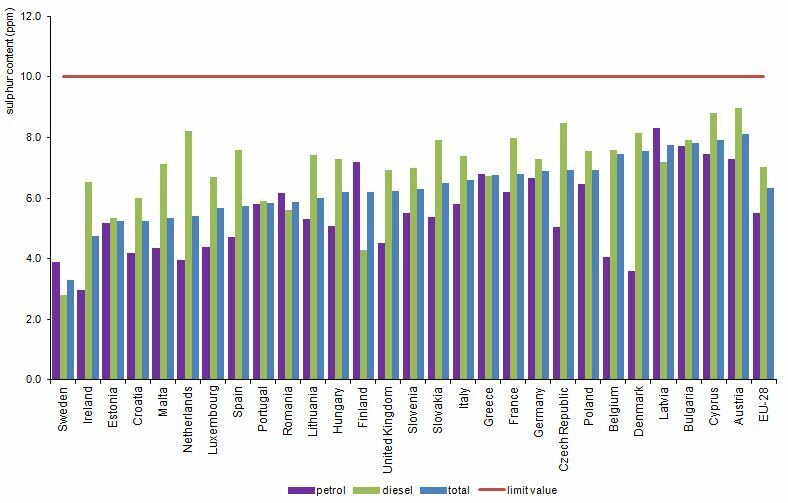 In the last several years the lead in liquid fuels (in road transport) is no longer present, the measurement of benzene are lower than the prescribed value ( 1 % V/V ).